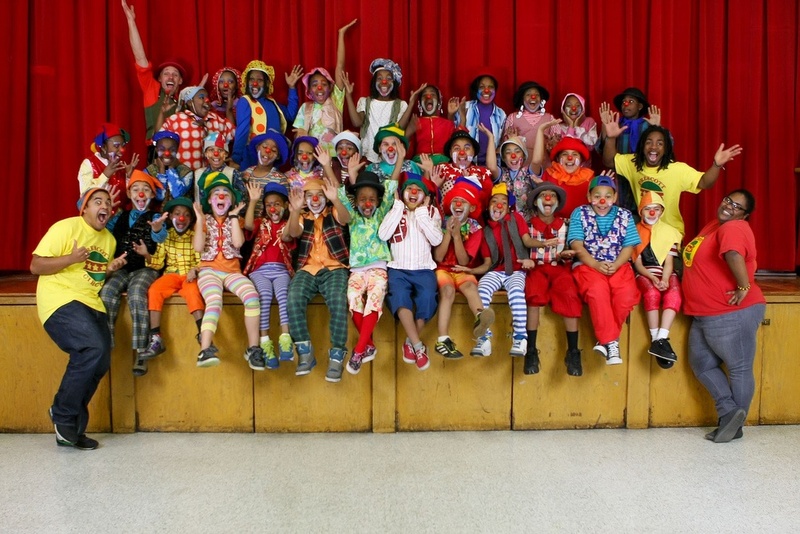 Each year, over 170 children work with professional artists to develop physical circus skills such as juggling, acrobatics, improvisation, balancing, unicycling, stilting, hip hop dance, hambone body percussion, and clowning. An emphasis on cultural connections within the program’s curriculum and structure is valued and included. Students also learn about performance art, including creative expression, stage presence, production, and theatre vocabulary. Through this work, our stars increase their confidence while developing essential life skills including teamwork, cooperation, punctuality, and grace under pressure — the ability to smile when “the show must go on!”. Arts education that truly promotes school and life success. The heart of our work is the Prescott Circus Performing Company from Prescott Elementary School in West Oakland. Each year, approximately 25 -30 3rd-5th graders commit themselves to a minimum of 9 hours per week of training. They also receive homework tutoring and an academic summer school session. This group is well known and loved throughout the community as the “Prescott Clowns.” Through hard work, practice, and careful coaching, they develop the necessary skills to appear at over 50 community events for over 25,000 fans annually. The group develops an hour-long show that is known for its educational and motivational themes. Our Outreach Satellite Programs reach 150 additional children each year. These include after school circus arts classes at school sites throughout Oakland. Click here for more information about our Outreach Programs! Training programs are offered free of charge and almost exclusively to low income children. This program is supported by grants, donations, and performance fees. The Oakland Unified School District provides in-kind support.